When you want your target audience to know your company and understand its purpose, the best thing you can do is design a Brochure which truly represents your company’s objectives. 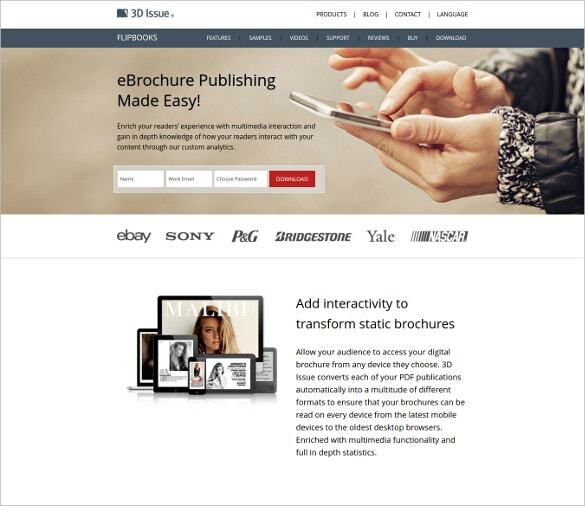 Designing brochures online is now a matter of minutes. There are plenty of online Brochure Making tools available with the help of which you can design spectacular brochures for all purposes. 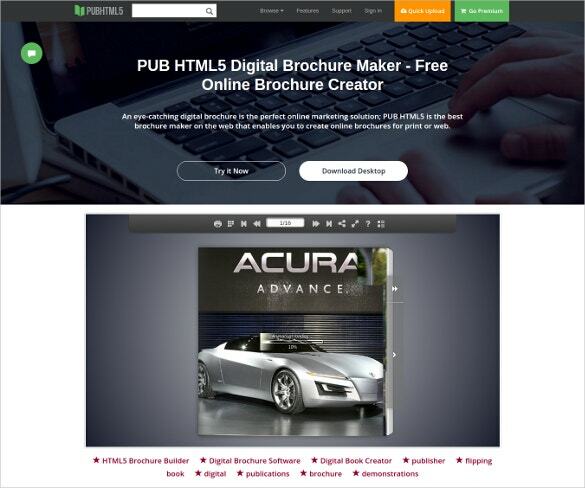 My Brochure Maker is undoubtedly one of the best online tools for the purpose. There are several templates to work with. 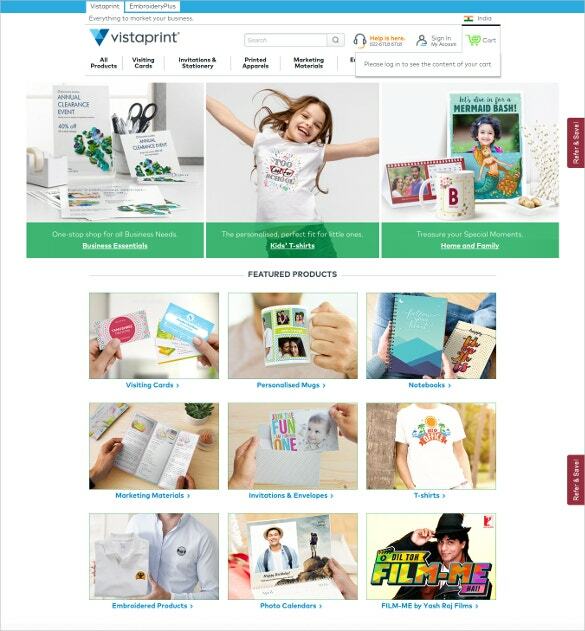 Vista print is another online service which also offers to make free brochures Templates for you. Pabblo is an online tool which does a great job of incorporating photos on your brochure. 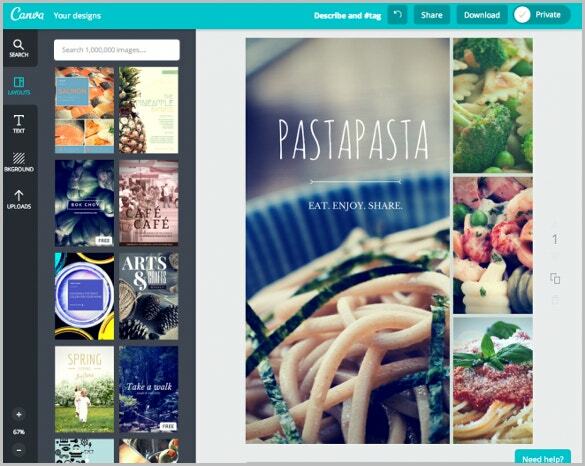 Give your business the professional look it deserves with this Canva Free Online Brochure Maker. 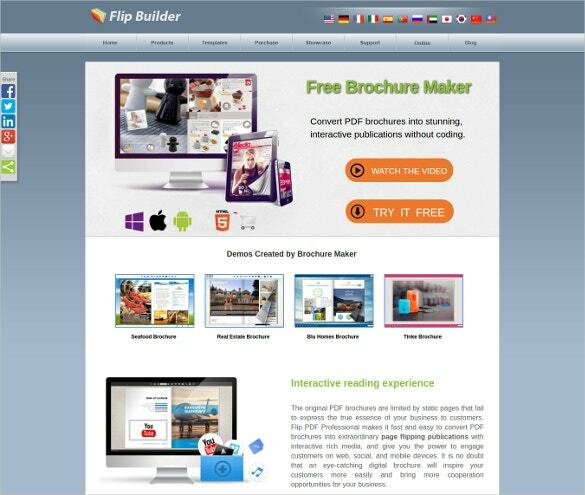 This free brochure maker software comes with photo upload options, custom dimension, icons, frames, banners, image fixers, filters and is great for corporate use, wedding planners, decorators and others. 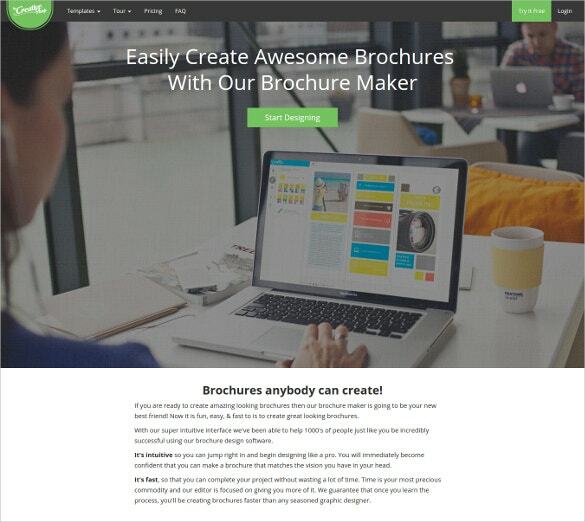 With Lucidpress Free Brochure maker Online you not only get an online free brochure maker but tons of features as well like Drag-and-drop Interface, Layout texts, Images, Modern design, Easy imports and more for church, construction, modelling agencies and studios. 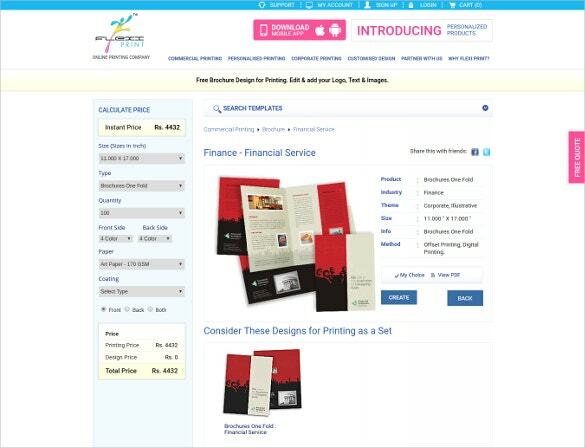 Make Your Free Brochure in Online with this free tri fold brochure maker. It has a very simplistic approach that is easy to follow and has three different orientation options including no-fold brochure, tri fold brochure and half-fold brochure. The no-fold and half-fold one has portrait and landscape options perfect for boutiques, spas and restaurant businesses. 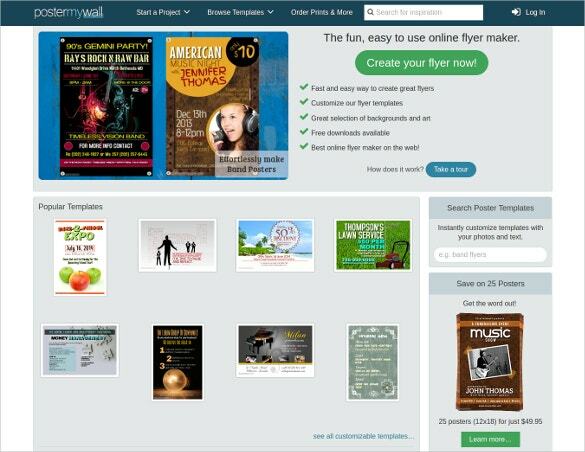 Create Free Brochure Online with this free brochure maker online printable software. 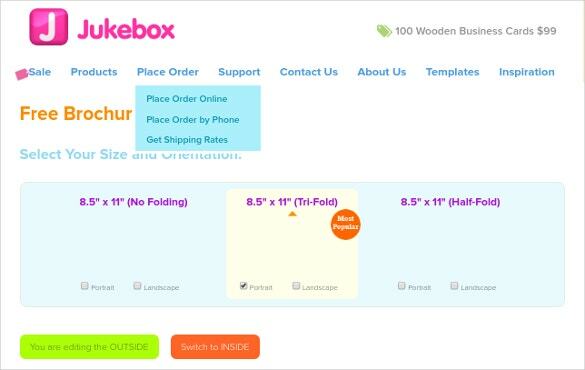 It brings you options like tri-fold, half fold and no-fold with custom dimensions, easy imports and edits. 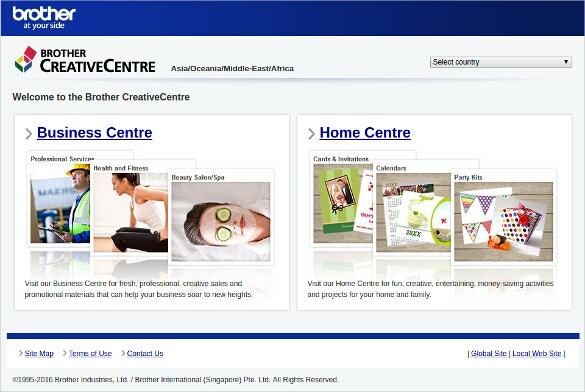 This is perfect for start-ups, spas, travel agencies, modelling agencies and studios. 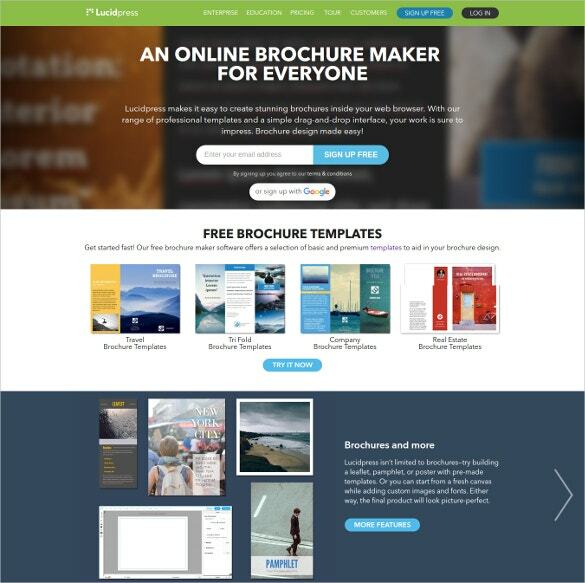 Create Awesome Brochures online with the free brochure templates and soar new heights in your business. 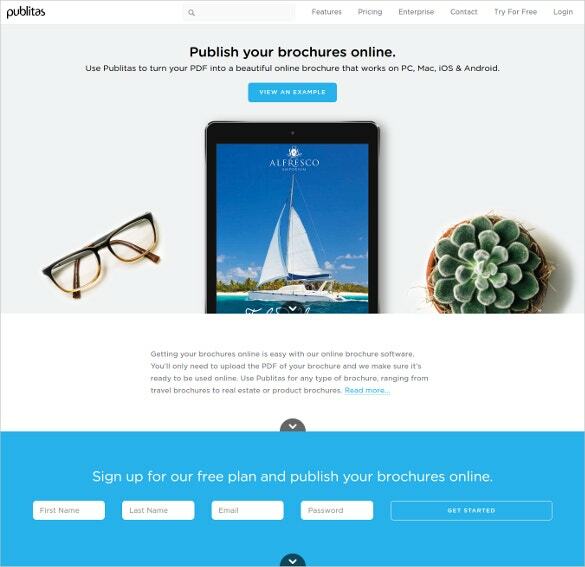 This brochure maker bring you a super intuitive Interface, social media share options and download available in PDF form which works great for architects, engineers and artists. 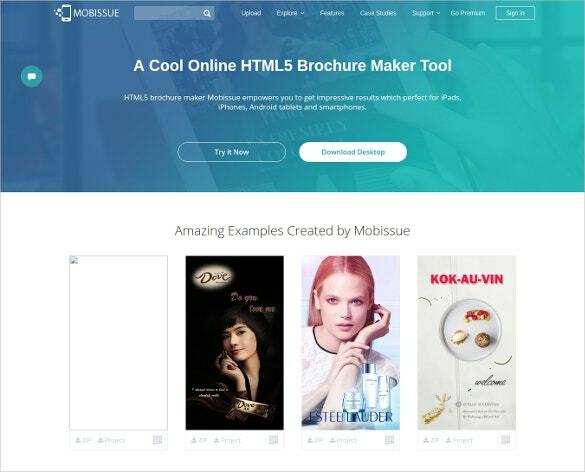 With this Quality Brochure Online Maker For Free escalate your business every day. 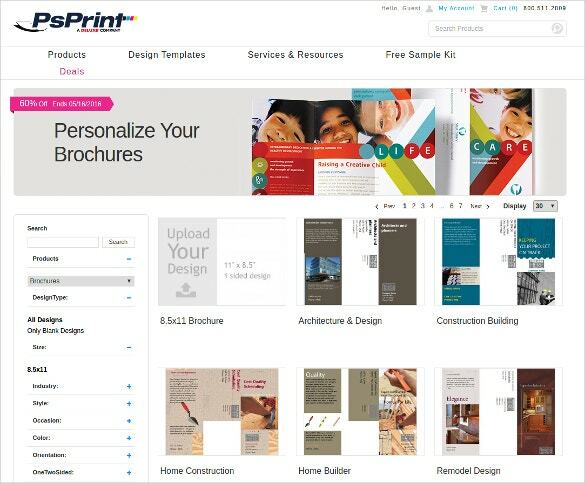 This online free brochure maker gives you tons of options to personalize your brochure with custom dimensions and more. It is perfect for pet services, Non-profits and Real estates. 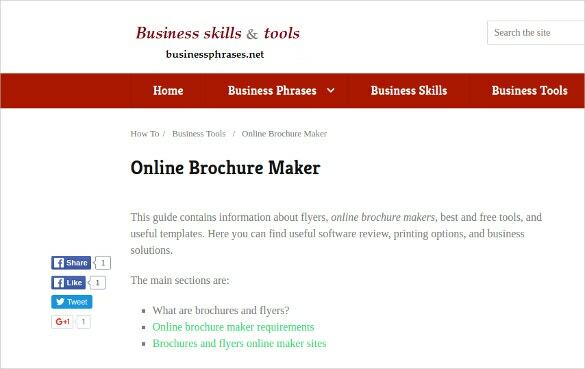 Make Your Own Free Brochure with this free pamphlet maker. This online service can help you build your business and project your visions on the brochures with its wide assortment of patterns and themes. This is a great option for finances, Beauty services and spas. 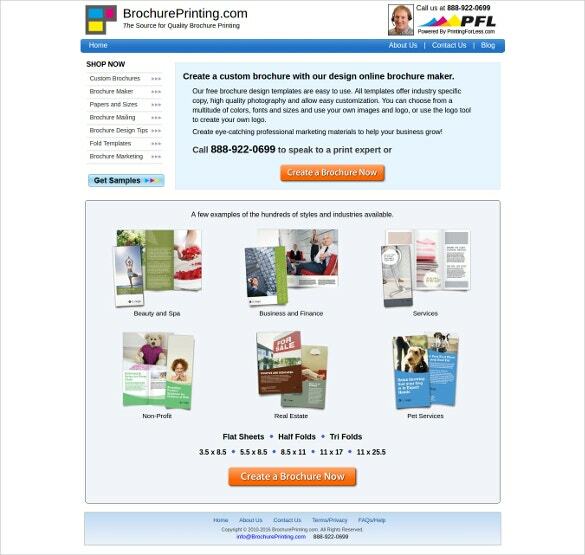 This Free Brochure Maker Online is loaded with awesome features like easy imports, custom dimensions and layout texts. This online free brochure maker appeals to a wider audience and can be beneficial for pet services, pest services and wedding planners. 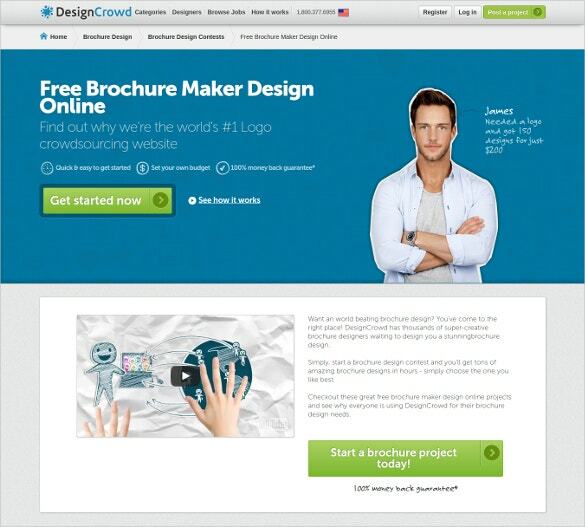 Design Your Brochure For Free with this great free brochure maker software. 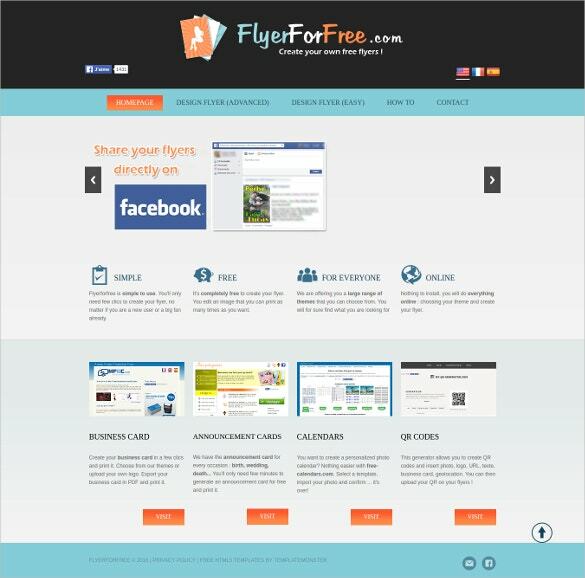 It offers easy customization, uploading logos, custom designs and more. It is a great option for non-profit organizations, spas, and healthcare services, yoga classes, modelling agencies and art studios as well. Yes elegance can easily be a big part of your business with this Free Online Brochure Design Maker. This free tri fold brochure maker is compatible to make no-fold an half fold brochures as well. It also offers landscape and portrait orientations. 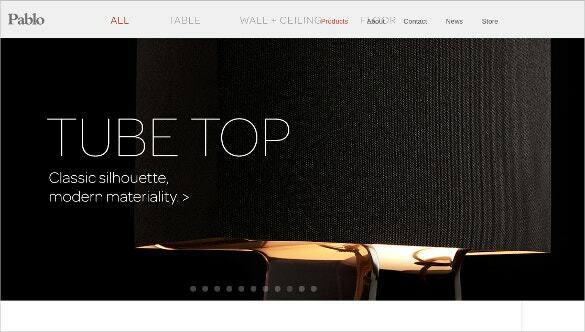 It is best used for interior designing agencies, studios and artists. 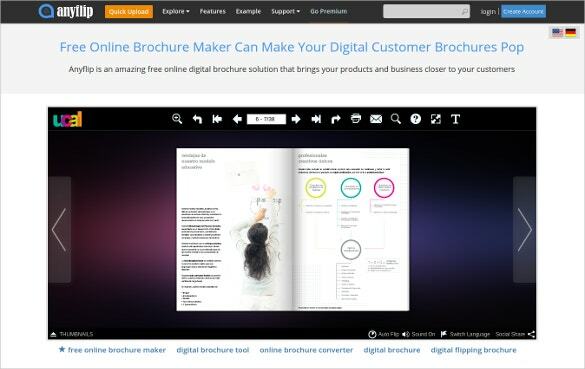 This Free Online Brochure Maker for Business is everything you need for a great brochure. This free brochure maker online printable software offers easy customization, imports and easy upload of logos. This works very well for pet services, real estate and non-profits. This Brochure Maker Free Online Brochure Design is a great option for those with pet services, finance services and beauty services. This online free brochure maker has HTML5, mobile friendly options and is perfect for making an eye-catching template for online and printing purposes. Free Online Brochure Design Printable is ideal for those with architecture services, construction services and designing services. 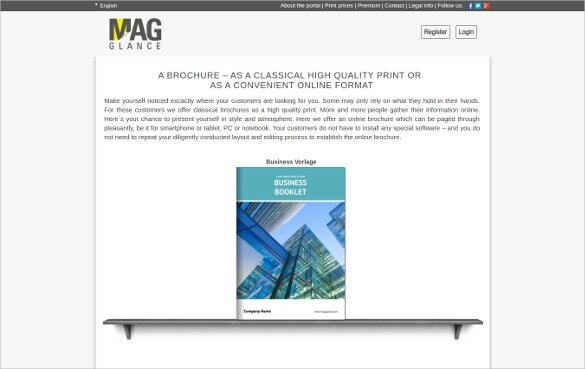 With this free brochure maker download in different formats are available. It offers interactive reading experience, branding for promotion of business and more. 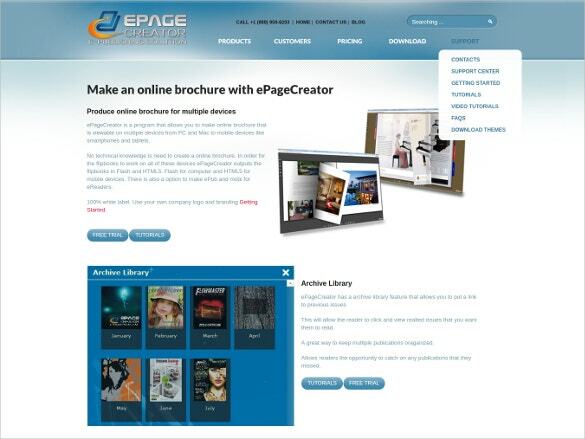 The Online Brochure for Printing is great for publishing brochure online and in print versions. It appeals to a wide range of audience including the real estate clients, product consumers and pet owners. This free pamphlet maker is a great tool with easy customization. 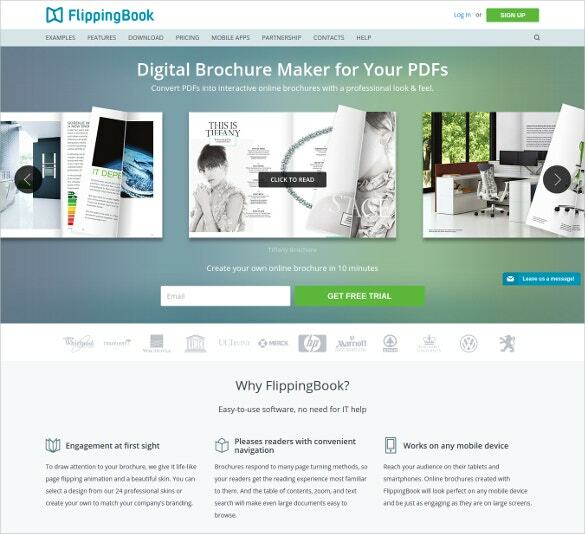 Get your hands on this Cool Online Brochure making Tool and design the brochure of your dream. With its easy import option, uploading logo options and modern design you can easily charm your clients. It is ideal for spas, beauty services and travel services. With these online brochure makers in your arsenal you have absolutely nothing to worry about. These brochure makers work just fine with all businesses starting from construction to wedding services. 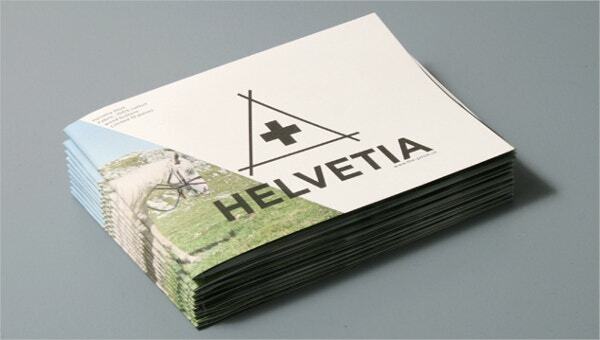 They have an abundance of features to flaunt and make your brochure worth every minute you spend in customizing them.